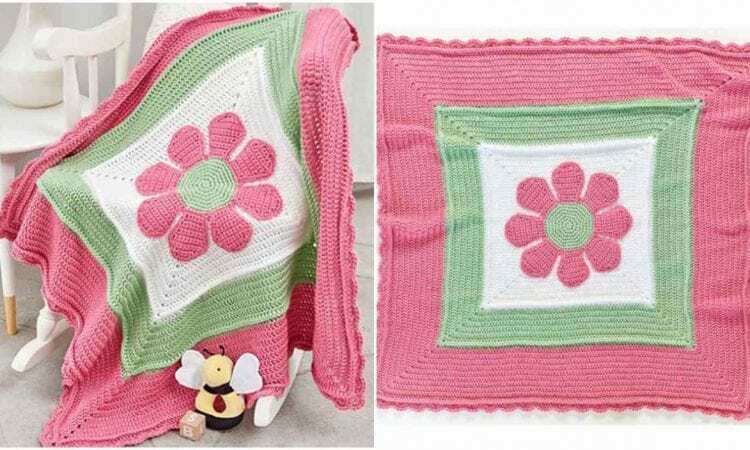 This adorable baby blanket can be use as a nursery decor, stroller blanket or baby shower idea. It’s sweet in colors presented on the photo, but you can use any color you want. It is an easy pattern and fun project. Enjoy! A link to free pattern is below.